Yes! 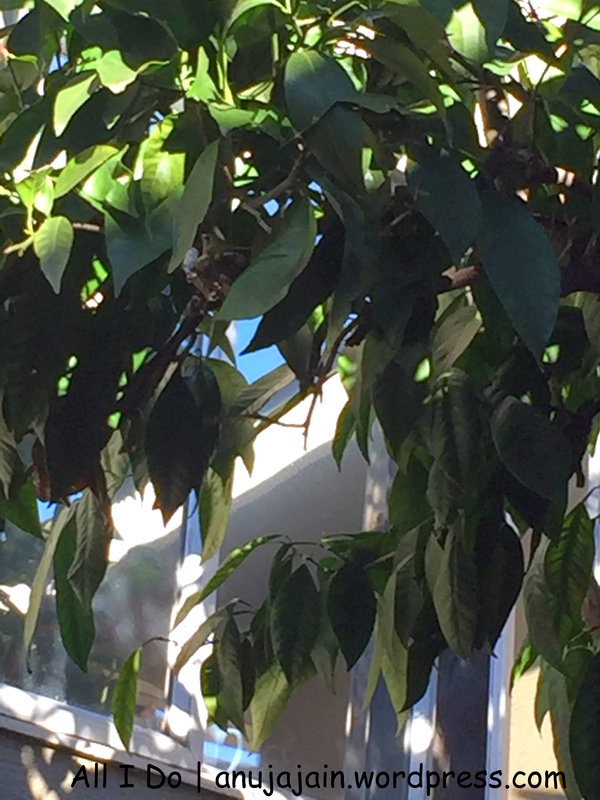 There is a tiny hummingbird nest in my backyard! It is sooo exciting! 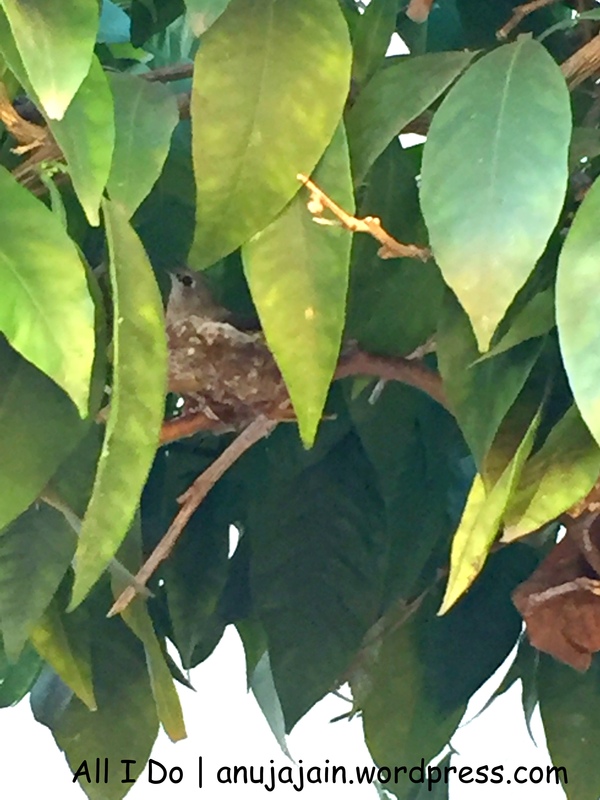 I am positively thrilled to have a bird nest in just first year of home ownership… and that too a Hummingbird!! We see quite a few hummingbirds in our garden even when we don’t have much flowers or any bird feeder. The nest is actually on the side-yard where I keep all my gardening supplies, soil, compost, unused planters and what not. From last few days whenever I go there to get some soil or something, I see a hummingbird just hovering around me. At first I thought she isn’t afraid of me that is why she is there, later I realized she was guarding her nest. 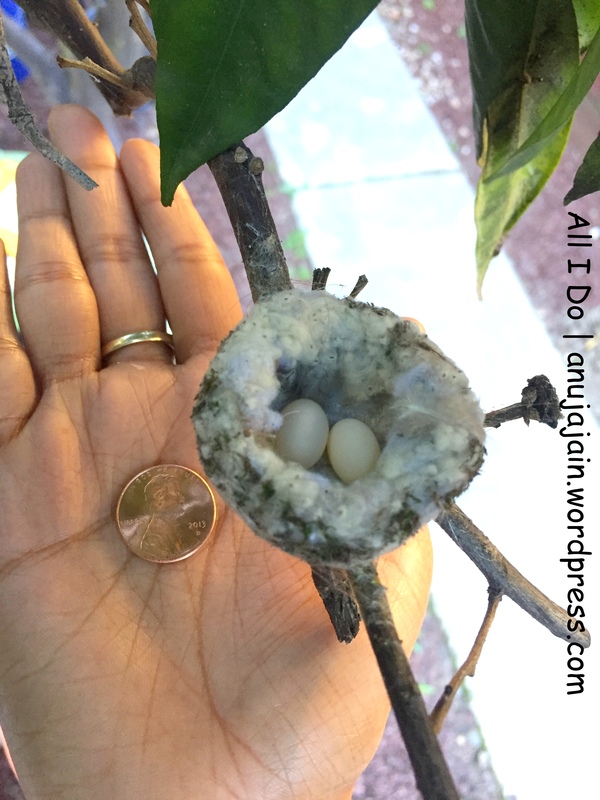 Since then I read quite a lot about Hummingbird nesting and nest watching in general. I am going to take extreme precaution so that my little guests don’t get afraid :). It is such a privilege to get to see these amazing creatures so up close. You see the window in the first pic? That’t my kitchen and I can make out from there if mommy bird is home or not ;). This is really amazing! I love small birds so much!